Rachel is one of many people around the world who experience seeing the 'shadow man' or as he is known throughout this film the hat man. She tells her lawyer husband of what she sees and he simply puts it down to nightmares, then he changes his mind and puts it down to hallucinations. He even goes so far as to take her to a cabin in the woods and explain his case in true lawyer form. The only person who believes her story is William a man she meets at a group for people with addictions. After many slow drawn out scenes of William explaining the shadow man, he risks putting Rachel under hypnosis. This is for her to confront the shadow man but will it be wise to confront something that can not be easily explained? 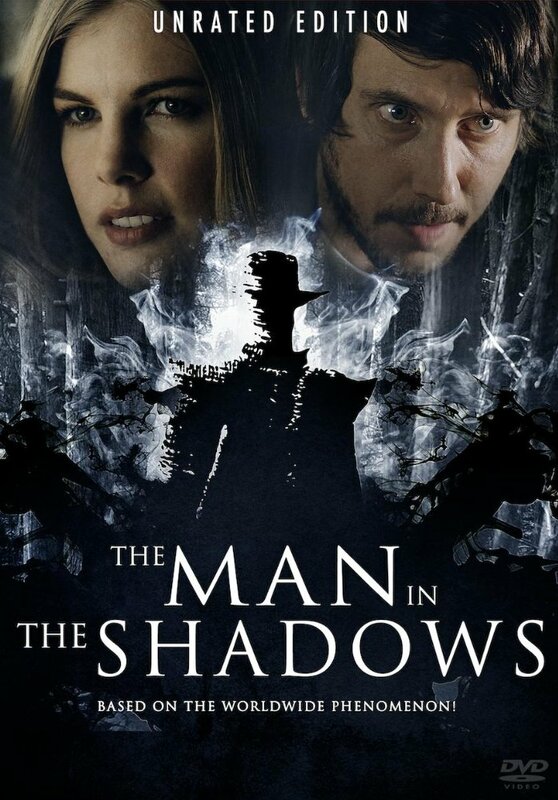 Those wanting a horror film which explores the worldwide phenomenon of the shadow man will be sadly disappointed by this Canadian thriller. While the idea of someone with addiction problems looking for answers behind the shadow man sounds like a good idea, in this film that idea is pushed into a boring plodding mess. The film focuses more on the strained marriage of Rachel and her husband Scott and only in the final 15 minutes does the film go back into the genre it was hoping for. While the film is full of suspense it is sadly lacking with a punch that is worth the build-up. Overall its a psychological thriller that has decent actors but it has nothing worth repeat viewing. THE SHADOW MAN is scheduled to come out on DVD in the U.K. 16th October 2017 from High Fliers Films.